It was a nice meting this man. 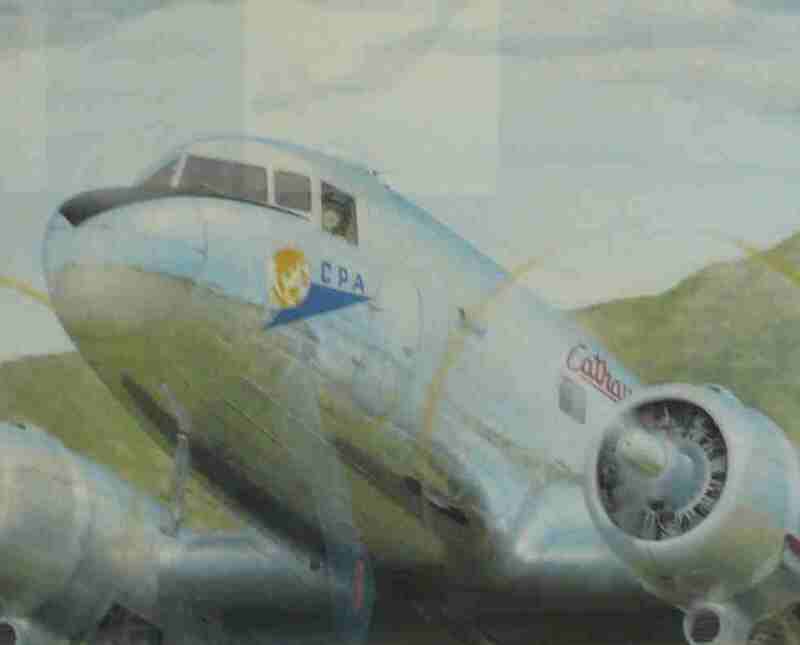 Introduced by the 2500 pilots Nick Rhodes (DFO) this 24,000 hours man was the fourth pilot hired by CX. He had flown indeed Betsie from US to Hong Kong in 22 days. He had ferried indeed the last emperor of Vietnam out of Danang. He had listened indeed the music of the round engines (I have a CD of these music if you like to have one) and he call Betsy his real love, which as you know is hanged at the HK science Museum instead of the Airport. 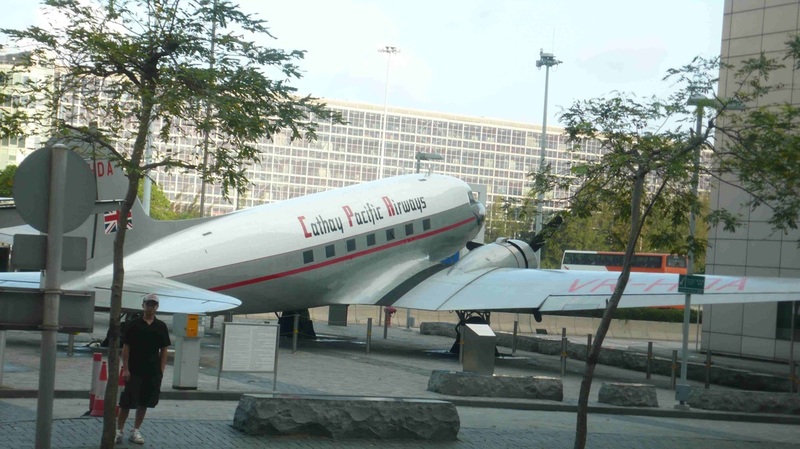 BTW outside Cathay City the DC 3 is a replica and not the original twin sister Niki. 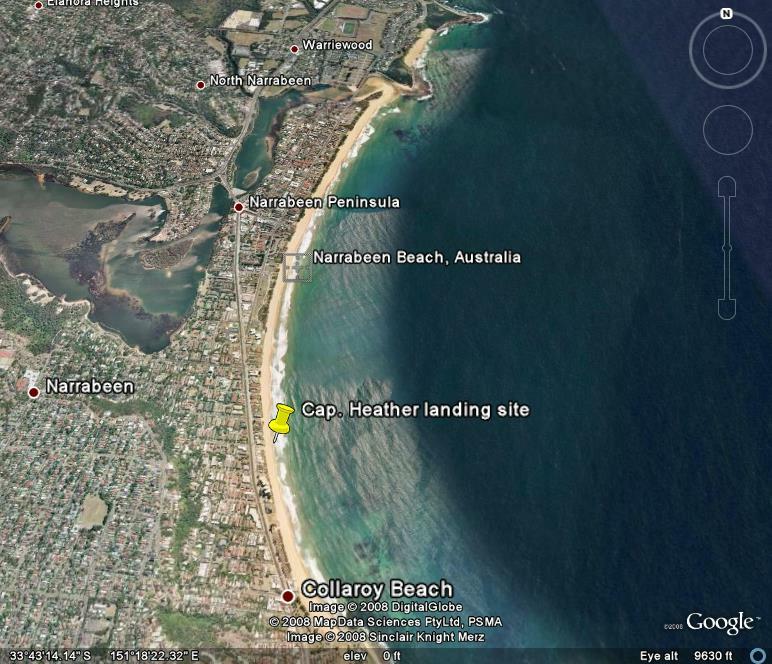 I got his book and his cross over the Google map Narrabeen Beach print that he said he “will never forget” when he landed “dead stick” with General Douglas McArthur some time earlier than last week. 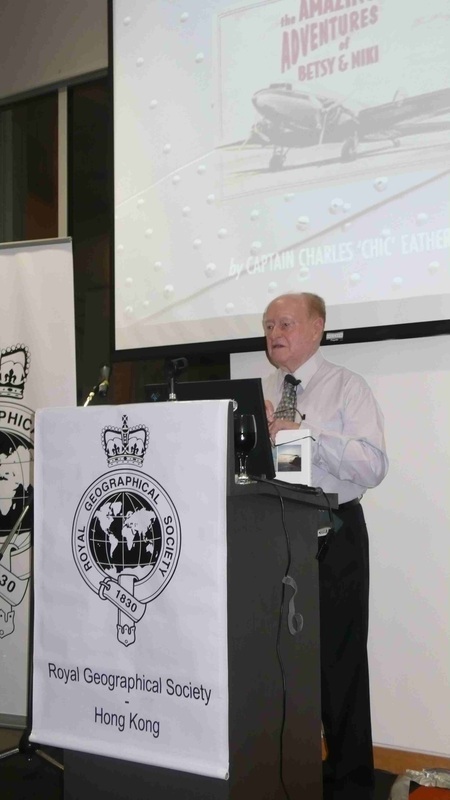 Last Thursday at the THE ROYAL GEOGRAPHICAL SOCIETY - HONG KONG I met also other DC 3 pilots that now fly Dassault private jets and are fully loaded of stories. I am waiting to get these piece of history back to share with you. 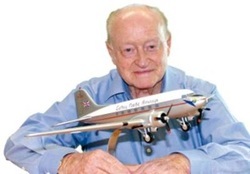 Mr. A Barbagli who father is a decorated Italian WW2 pilot. Mr. Macchi that will tell us if he beside “air passion” has also something in common with the legendary Italian aviation Macchi air factory. Yolanda who manage multiple tasks (as all women does and some captain try to) at the Hong Kong Air club and kindly redirect this mail to Pilot Actor Michael Wong until he will contact me direct as he said. And 777 captain Jeff . The kind man who told me if the third steering axel of his ship M.L.G. is steering or not (and how) when they push back the plane. I could not sleep anymore without this piece of information. Obviously welcome Cap. Chic Heather. 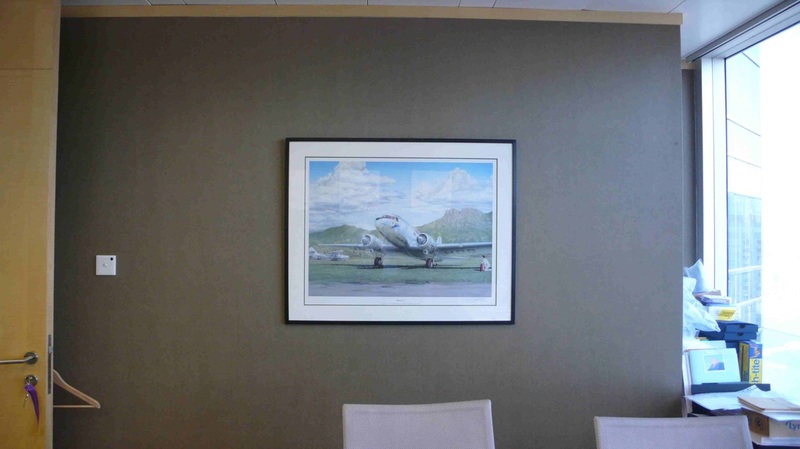 I have the 135/360 print of Mitch Lovett in my office. For those unaware that pilot is CX no.4. Now I have a story to add to my collection. I met that man. Since we write about our Airline I take this opportunity to copy this story to Kevin Q. (CX Crew News Editor). Regards to all and remember that if you wish to be left in peace let me know and I will with full respect de-list you from the BCC contact list.